This is a square Betsy Ross Ice Cream porcelain sign. 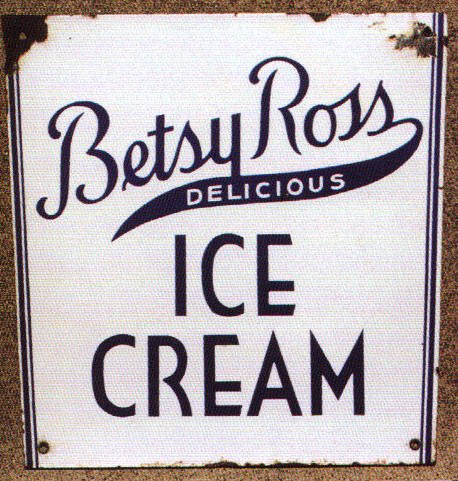 This particular Betsy Ross Ice Cream sign is predominantly white with black text. It reads, “Betsy Ross Delicious Ice Cream” and has no other design.